We were here exactly a fortnight ago. La Coruna appears to have become popular with Cunard as the last port on voyages to and from the Med or the Canaries. You can see from these charts why that is. 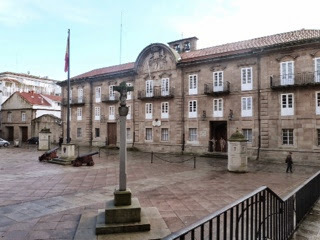 La Coruna is right on the northern tip of Spain. As soon as you leave the harbour you are in the Bay of Biscay, and (if the conditions in the Bay are reasonable) then it is a fairly easy 15 knot voyage to get to Southampton on time. La Coruna is, in addition, a very attractive city. 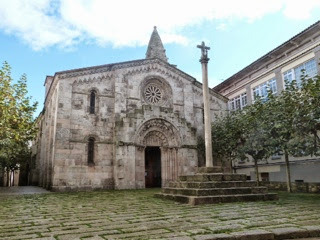 This time we found our way into the old town, which is full of churches, schools and narrow streets. 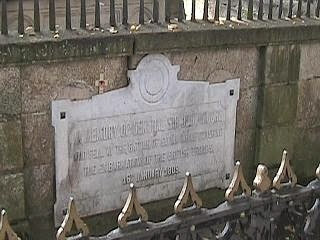 We also found the monument dedicated to Sir John Moore. If his yet to be knighted namesake is reading this, he will no doubt be impressed. It rained briefly after we first left the ship, but then the sun came out and it was a great day. The main square was being set up for a Christmas market. 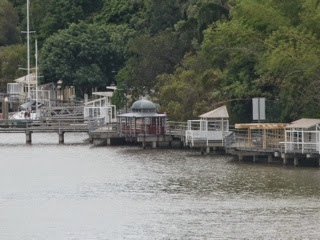 In the evening, Jean, Tim, Jane and I had dinner with Deputy Captain Simon Love and Victoria, the Commodore’s secretary, in the Verandah Restaurant. A great occasion. 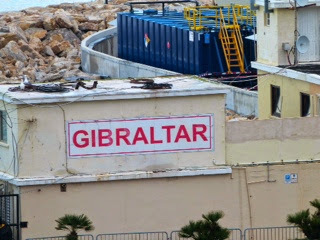 I can never get very excited about Gibraltar. It’s something to do with the Apes (actually they are monkeys and not apes). Jane loves to see them, but to me they are dirty, horrble, little scavengers that jump on your head, steal your sunglasses, cameras and mobile phones and eat your ice creams and sweets. And they bite if you annoy them! They live on the Upper Rock and they leave the area covered in their debris. Keep well clear is my advice! Sadly it rained for most of the time we were ashore. 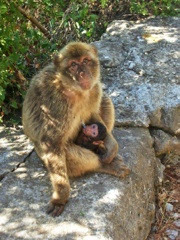 That meant that we didn’t make it up the Rock and so Jane missed the Barbary apes! But the downside for me was that it did mean that I had to commit to more shoe shops and to the dreaded M&S. Small though, so less to see and very little Per Una. I did find Jane some very nice black ankle boots, which passed the test, as they were easy to get on. Some of her favourite shoes can be a nightmare. 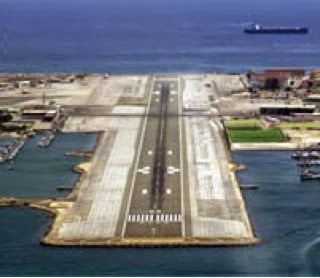 Those of you that have flown planes into Gibraltar will know that the flight path can be blocked by cruise ships. It didn’t happen to us this time, but I do recall our arrival, on one occasion, being delayed until the BA flight from London had landed. 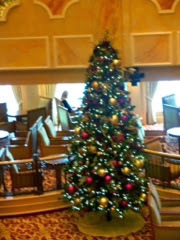 The ship has now been decorated for Christmas and looks fabulous. 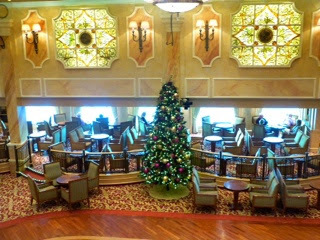 Immaculate Christmas trees have appeared all over the ship. 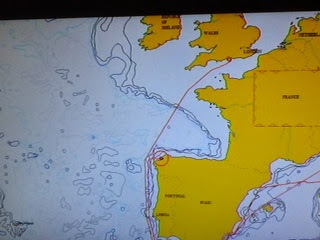 And after our departure from Gibraltar we had a day at sea and then the final port, La Coruna. Barcelona is a magical place. 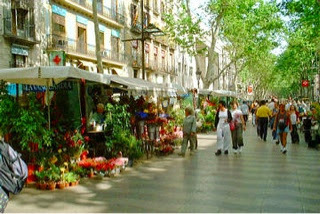 Walking up La Rambla sets the scene. 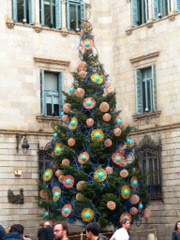 Although it was 1 December it was busy with plenty of tourists and many of them were Spanish. 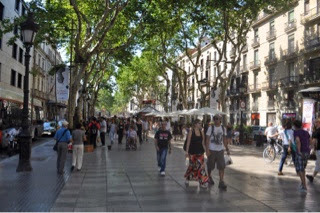 We set off to explore the narrow, traffic free streets off La Rambla to the east. 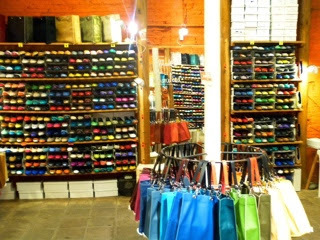 There were multitudes of neat, small shops and galleries. 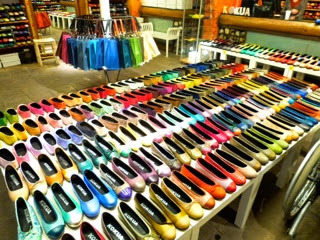 Jane always wants to stop at every shoe shop, but as there were so many, it was agreed that we would only look into every other one. This one was magical. When I took out my camera, the assistant asked me to restrict my pictures to general ones, rather than close ups. I’m not sure if she thought I was going to set up in opposition! 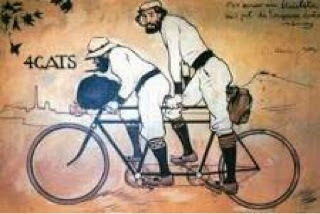 My intention was to move slowly north so that we eventually found ourselves outside El 4 Gats – a favourite restaurant recommended by Nigel Freer some years ago. It was a regular meeting place for Picasso and his chums. Jane was reluctant to have lunch, but I hoped to persuade her otherwise. I failed! 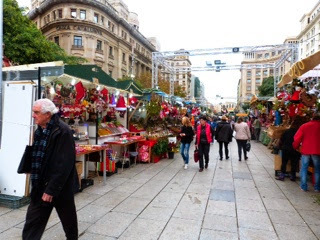 We then came across a Christmas market, which appeared to have only opened that morning. The usual tat, but Jane came across a stall packed with miniatures (which she loves) so we had to peer at hundreds of small Christmas baubles. 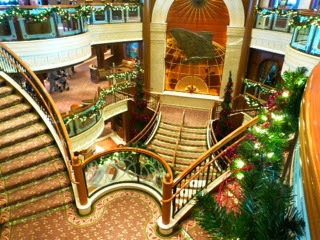 Our return to the ship was eventful. One of the shuttle buses had a lift which took a wheelchair and its rider some 8 feet up to the seating level of the coach. At the ship, the first one out was an elderly man on a mobility scooter. His wife was bossy and he was clearly nervous about manoevering the vehicle onto the lift platform which had no guard rails round it. He would be driving out onto a platform sticking out the side of the coach and 8 foot off the ground. The coach driver operating the lift was standing on the ground. I could tell that the old boy was having trouble so got myself behind him to encourage him. He lined himself up and told his wife to ‘shut up’. He gripped the handle bar too tightly and in so doing pulled the accelerator and shot forward on to the lift platform and over the front of it! I grabbed the old boy and the back of the scooter and the bus driver pushed the front of the vehicle into the air. The old chap eventually let go of the accelerator and we pulled him back. It took us some time to coax him off! Livorno is the gateway to Pisa and Florence, but because of the distances involved and the fact that we had been to Pisa before, we decided to explore Livorno. 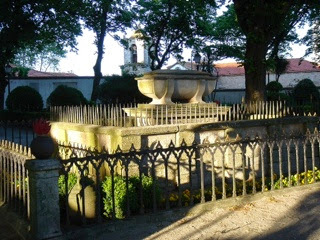 Reports about Florence indicated that it was not wheelchair friendly and that paths were narrow and cobbled. We are sorry though that we have not been there. 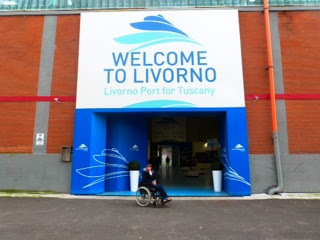 The “wheelchair friendly” shuttle to get us from the ship to the centre of Livono was provided by the city but was less than satisfactory. After a lengthy wait the vehicle arrived. It had a ramp but was designed to take one wheelchair. The driver crammed in many more than that, but none of them were secured in any way, and had there been any heavy braking during the journey, there would have been mayhem. In the event we survived! Livorno was not the greatest city we have explored, but it was fun and it was a Saturday and the weather was good. We quickly found the large open air market which sold just about everything, including a multitude of fake Prada handbags being offered for sale by men from north Africa? We heard that it is illegal to buy fakes; and that buyers can be arrested and fined. So no Prada handbag for Louise or for Mike for Christmas! 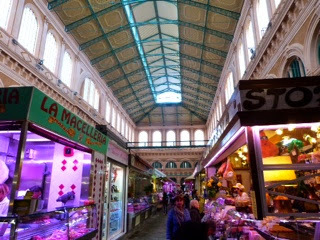 The indoor market nearby was extraordinary. A beautiful building and a multitude of butchers. 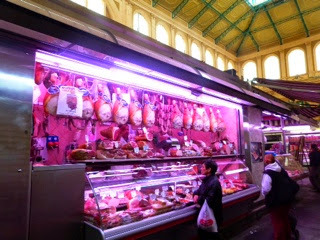 There were other foods for sale but every other outlet was a butcher selling a vast array of meats. How many small butchers shops can you find in a UK town these days? 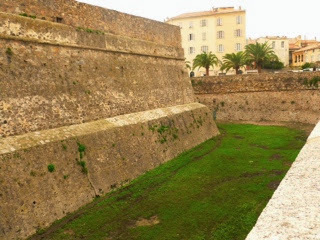 Next day we were in Ajaccio, Corsica. Deputy Captain Love announced our arrival with the standard notices and said that the mist/fog enveloping the town would lift to give us a sunny, warm day. In fact it lifted just as we departed! The Smith family spent many happy and active holidays further south in Corsica in the late eighties and the nineties with Mark Warner. Sailing, windsurfing, waterskiing and tennis. And al fresco meals with plenty of beer and wine. They were great and we enjoyed 13 Mark Warner holidays during that time making many lifelong friends. 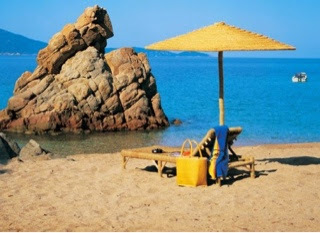 The very first such holiday was near to Porto Vecchio on the east coast at the Hotel Ziglione. 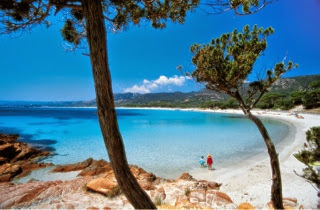 Later we found our favourite – Club Marinca opposite Propriano on the bay of that name. A wonderful venue. But back to Ajaccio and November 2014. 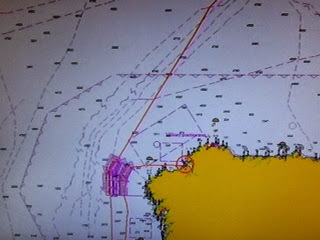 We thought we had sailed into the port before but were wrong. 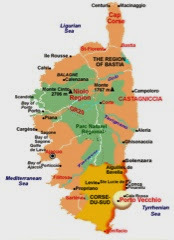 Earlier voyages had taken us to Calvi and to Bastia – both further north. 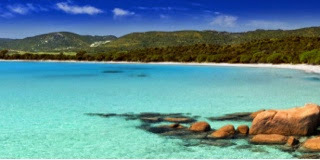 Corsica is a big Island. No 4 in size in the Med. But because its mountains are so dominant the roads are difficult and travel is slow. In the days of Mark Warner we rarely left the hotel, not only because of the transport problems, but because of the bandits and the shootings. Propriano was allegedly a Mafioso stronghold, and at night we occasionally heard shots fired from the other side of the bay. Traffic signs were regularly riddled with bullet holes. And one year we arrived at Marinca to find that the boathouse and bar on the beach had been blown up by rebels who wanted Independence from France. The boats had been blown up too – which was good for us as it meant a brand new fleet of Lasers, windsurfs and waterski boats! On Sunday Ajaccio was busy. The locals were out in force, and although the shops were closed the cafes in the square were open and there was a small market not far from the ship. We wandered off away from the centre and during our travels met Commodore Rind and his wife Julie. He was in civvies wearing a casual shirt and a large straw hat! 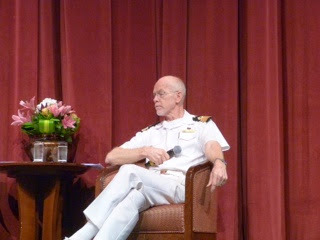 This is him in uniform. We moved on and found a castle with a moat. 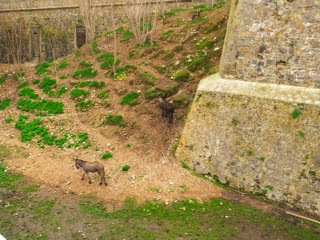 This one didn’t contain poppies but a goat and two donkeys!